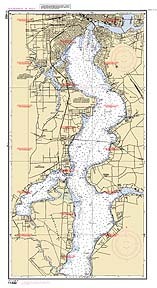 Welcome to Flotilla 14-8 based in Jacksonville, Florida, and to www.SafeBoatingJax.com. As Flotilla Commander, I am proud to represent the United States Coast Guard Auxiliary and in particular the members of our Flotilla. Founded in 1969, Flotilla 14-8 has been dedicated to Coast Guard Auxiliary missions of serving Jacksonville's boating public and the United States Coast Guard for 50 years. We promote boating safety through public education, performing vessel safety checks, contacting and distributing educational materials to local marinas and marine stores, and providing both boats and crews for on the water operations. The Auxiliary also provides multiple opportunities for its members' growth and development through member training, fellowship, and leadership responsibilities. Our Flotilla meets the second Tuesday of each month at the Florida Tackle and Gun Club in Mandarin. The Coast Guard Auxiliary is always looking for individuals with a variety of talents to join our ranks. Class Instructors, Photographers, Journalists, Editors, Webmasters, Human Resource Officers, Leaders and Administrators, are examples of many jobs that we have available for those interested boating and serving their community. Of Course if you are a boat owner we have unlimited opportunities on the water, in the air and on the radio. The Auxiliary is proud of its tradition of being the Nations Volunteer Lifesavers. Why not be part of this proud tradition? Our recruiter for 2019 is Paul Burns, and I encourage you to contact him for further information (email at info@SafeBoatingJax.com ).